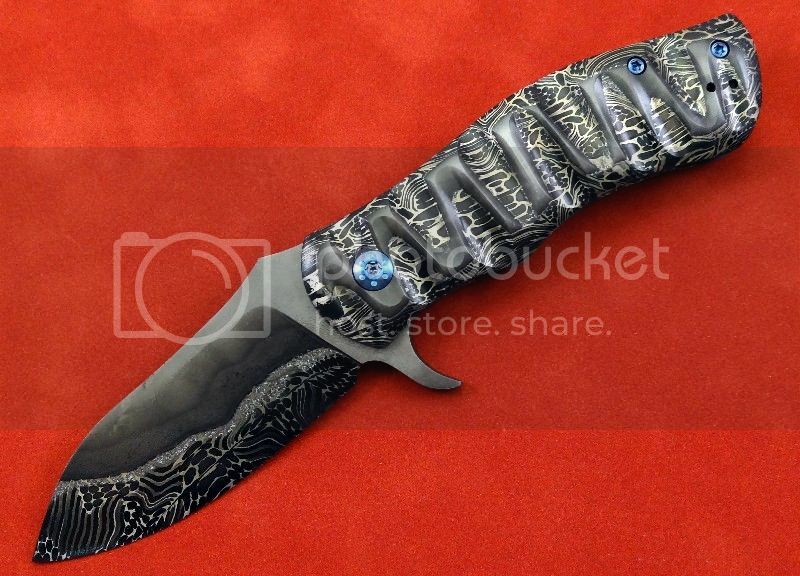 This something I've had on my mind for a couple of years now.... a 416/Mosaic Damascus Laminate Flipper. At first it seemed pretty straight forward, but I quickly discovered that there are a lot of problems to overcome when building a flipper completely out of 416/Mosaic laminate.....took about 40 days of work to overcome all the problems, but glad I did.....this is likely the nicest folder I've ever produced. I'll have it at the Blade Show next week! WOW! ED................I don't have the words. That thing is STUNNING! Ed what a knife. That is truly amazing. I like your line up for Blade and I'm looking forward to the 'more to come'. You do some fun stuff with textures and differential finishing. I found myself looking at your EBK page, and gotta say that's some real eye catching variety. Nice one Ed. Looks like you gave it a little longer flipper/finger groove. The etch and no etch also add some nice depth. I take it the pocket clip is reversible also. Craig: Good to hear from ya! Been wondering how you're doing, and how things have been with you and the family! Kevin: The pics might not show all there really is with this one....the whole thing is etched....the "plain" areas you see in the pics is the 416....You've seen how some fold use a small wheel to grind "grooves" in micarta handles? 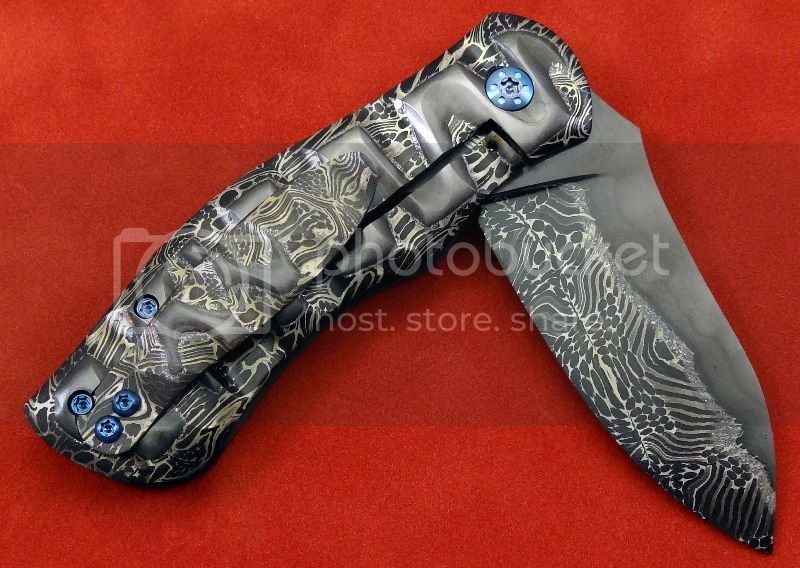 That's what I did with this one....my thought was to add depth and expose more damascus pattern. WOW that is one handsome knife! I would have to keep that one if I had made it. 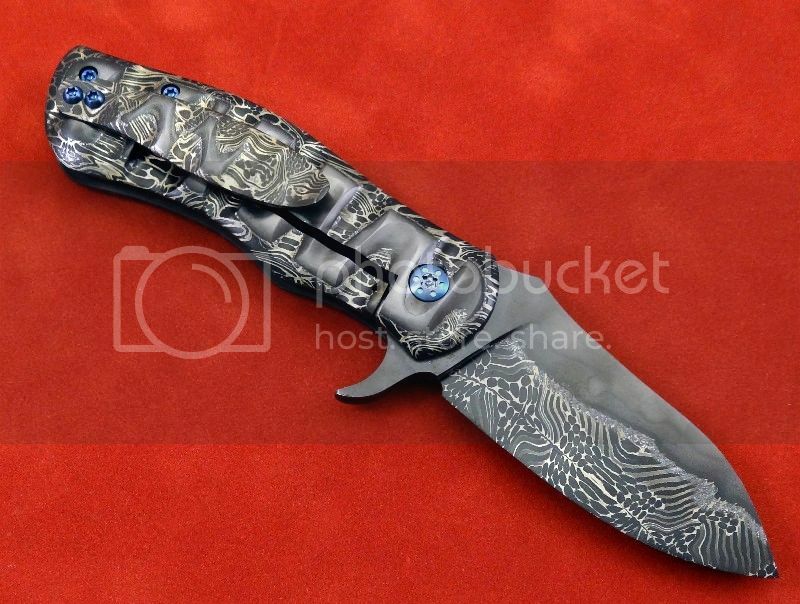 Ed, whichever forum I see this knife on, it is still stunning. Yep! I plastered it all over the forums I frequent....and even one or two I don't Figured amoung those who look.....maybe just one of them can't live without it! Well, if I bought it I'd have to sell everything I own, and my wife would be very unhappy. Last edited by Don Robinson; 05-28-2014 at 10:10 PM. Well done my friend. Guess I better get a lookie at this one quick. It will be gone fast. Looking forward to seeing you next week! Tim and Mandi are coming to the show...gona drive up Friday night....so I'm thinking Papaduex's on Saturday night! This year, with Tim and Mandi coming, I'm not gona worry about all the "dinners" and such.....gona enjoy my family and friends! Ed, I'm all in for Papaduex's on Saturday night! I think we missed out last year. "OUT OF THE BOX" thinking comes to mind Ed. Might just have to enter that for judging in best folder category if you ask me.